Data Management & Visualization: Married or Separated? click here HUMANITY’S ABILITY TO MEASURE, MONITOR, AND COMMUNICATE over the vastness of the entire Earth is unprecedented. Satellites swarm the Earth observing and measuring the events below. A web of sensors monitors and controls changes and movement of a billion things each second. Silos of important content that describe places and their features grow and grow within millions of organizations. Trends point to ever-growing volumes of rich data describing the planet. People, from scientists to citizens, expect this information in a form that can answer their pressing questions…instantly. At the same time, we are experiencing the rapid unprecedented consequences of environmental changes. It is hoped that the data and information describing these changes can be transformed into the knowledge and decisions that will mitigate the cost. 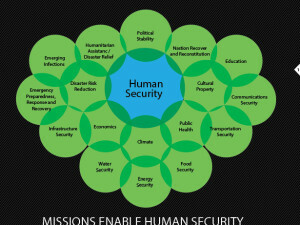 However, promised societal benefits and the commercialized value are difficult to realize. Nowhere are these changes more evident than in the Arctic. The singularity of a pole in a region of vying national interests, traditional peoples, climate change, resource extraction, emerging shipping routes, and a suffering ecosystem have given the Arctic new attention. However, access to Arctic geospatial data has long been a challenge. Remoteness and equatorial fixated map projections have made it difficult to include polar data in the normal offerings of scientific and consumer mapping products. 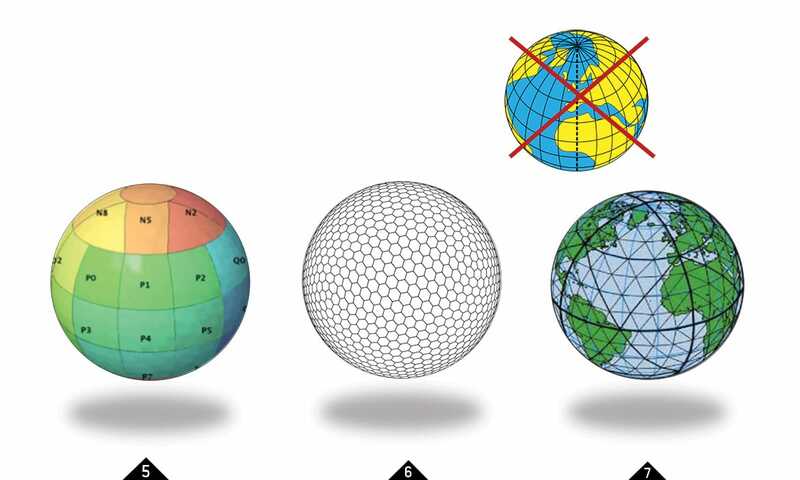 The difference between conventional geographic coordinate systems and a discrete global grid system is analogous to any “digital” discrete information system. 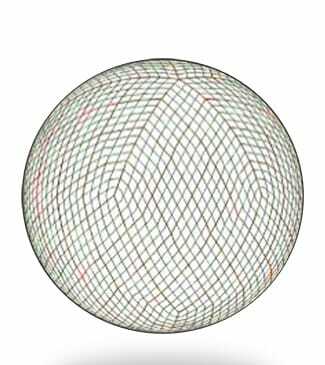 Using points of latitude and longitude to describe information on a continuous geographic surface is an analog model. It is like the continuous analog wave of sound produced by a vinyl record. However, to efficiently put that signal of music into a computer it has to become digital – broken into tiny discrete pieces with values assigned to each piece to reproduce the fidelity of the original sound. A DGGS is a Digital Earth reference model. The DGGS uses equal area cells to partition and address the entire globe. Digital Earth is not continuous. Each tiny cell – they can be infinitesimally small – has a unique address. Spatial resolution is explicit as every item of information in a DGGS is associated with an area. Geospatial data values from any source, type, format, spatial reference, spatial scale, or frequency can be held in a DGGS cell. The hierarchy of cells provide rapid aggregation and decomposition of data values. 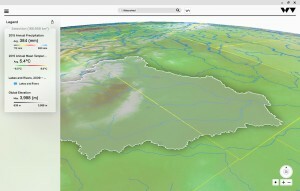 The Yellowstone River Basin is shown here for watershed analysis, delineated and assessed using elevation, satellite, and other static and real-time data without the need for a GIS intermediary, in the WorldView Studio DGGS. A DGGS is designed to be an information grid, not a navigation grid. Simply put, the DGGS is like a spreadsheet of tiny cells that cover the Earth. Information stored in each cell can record the condition and events describing that place. The idea of a standard means that everyone will use the same fixed cells to record everything from precise scientific observations to crowd- sourced events; a dynamic understanding of where one can find certain conditions and what is happening at the place of the user’s choosing becomes a simple task. As a global spatial reference system, polar data in a DGGS is accurately portrayed and equally integrated with map information anywhere else in the world. 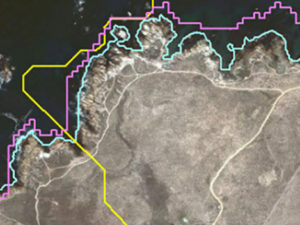 The DGGS has many other features that exemplify the power of a Digital Earth as well. 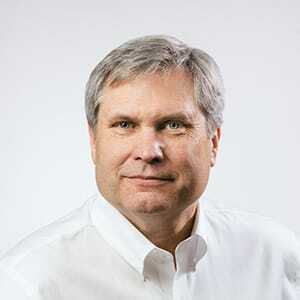 A DGGS allows multiple data sources to be integrated and analyzed in one workflow without the need to convert or change spatial reference systems. With the trend to more open on-demand systems, DGGS provides a user-centric approach where end users can search for and explore interesting phenomena from multiple content providers simultaneously. https://stetsonpainting.com/whychooseus/ click here FIGURE 3. Tiny cells of the ISEA DGGS hold data from vector maps and raster imagery of Australia. A simple question such as, “how many healthy trees are here now compared to 1986, 1996, and 2006?” is an expensive proposition, exemplifying the problem, the cost, and the bottleneck in the decision-making cycle. The primary challenge is pinning down what is meant by the term “here.” If one stands at the corner of the forest and asks how many trees are “here,” we might respond that there are no trees, for at the point under our feet there are none, or that there are the 40 we can see from where we stand, or it could be the entire inventory of trees within the ever-changing outline of the forest’s edges, or it could mean “here” is a reproducible connection of points defining the forest boundary in 1986. And this is the unfortunate bottleneck. What a human means by “here” can become an expensive, time consuming, and complex process of creating and maintaining a vector map for every feature or phenomena we want to understand. With a DGGS, that changes completely. Data collected on trees can be recorded with whatever means is available. Estimates in 1986, a rough survey in 1996, a more precise map in 2006 and the almost daily count of trees from a satellite in 2016 can all be used to populate values in the DGGS cells. The decision makers in 2016 select what they mean by “here is the forest.” And the aggregation of cell values provides an instant best answer possible given the state of the raw data. Integration of content is on-demand and the once expensive operation is virtually free. This approach to maintaining the meaning of “here” permits easy repeatable manipulation, visualization and analysis of measurements from any location at any scale. “Big Earth Data” aligned to the digital cells of a DGGS is easy to access, store, sort, process, transmit, integrate, visualize, analyze and model. Producing insightful answers to pressing unanticipated questions, such as “what is here?” and “where is it?” are simple set theory operations. FIGURE 4. ISEA Triangular DGGS; cells are equal area, like pixels on a computer screen. The world of DGGS assumes multiple sources of content that need to be assembled quickly. See the sidebars for real world examples. The growth of the Web as a primary source of information dissemination has naturally led to the evaluation of different approaches to efficient Web-based mapping and spatial analysis. The requirement for very fast display of global maps on the Web led Google to adopt a simplified approach to digital mapping. In 2005, Google Maps was released using Web Mercator – a spherical variant of the Mercator projection suitable for partitioning and indexing map tiles for rapid transmission and display. Despite its controversial problems, Web Mercator has become the de facto standard for fast Webmaps. 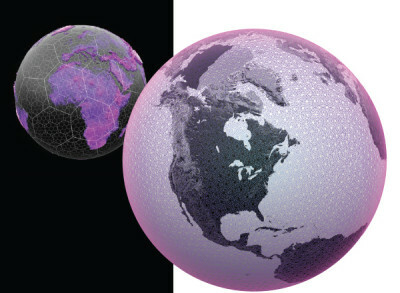 3D virtual globes provide a spectacular visual navigation of pre-integrated imagery over the planet and represent Version 1.0 interface for a whole Earth information system. Al Gore, in his 1992 book “Earth in the Balance” and his 1998 speech on the topic, introduced Digital Earth. His idea was not merely of a 3D virtual globe to navigate and explore, but a vision for a participatory information system so simple and powerful that children could effectively understand complex facts and events that define the condition and history of our planet. The new OGC DGGS standard will provide the basis for adopting this new Digital Earth approach to geospatial decision making. A DGGS is fast, scientifically accurate everywhere on the planet, and allows distributed sources of information to be integrated by the decision maker on-demand. A recent survey of DGGS indicated that there are at least 10 DGGS in active development and use. 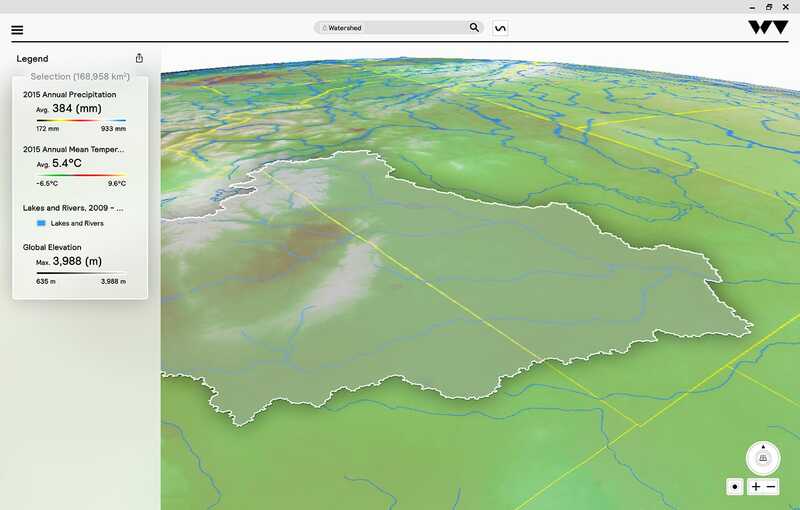 SCENZ-Grid DGGS, developed by Landcare Research New Zealand, is a rectangular DGGS designed for use in high performance computing and cloud architectures for interdisciplinary environmental modeling. The Web Globe company PYXIS has developed DGGS technologies in collaboration with the Canadian and U.S. Governments. PYXIS Studio uses a hexagonal DGGS for Web-based content discovery, visualization, and analysis. 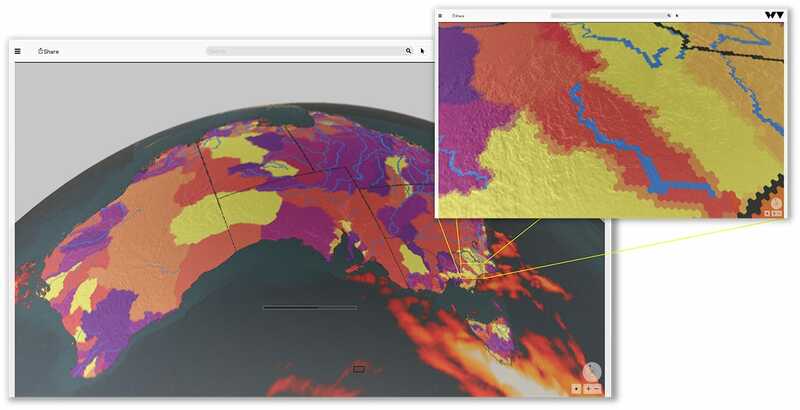 Their rapid search, discovery, and fusion of geospatial content across multiple data juris-dictions has been successfully demonstrated in several OGC testbeds and Global Earth Observation System of Systems pilot projects. FIGURE 8. Like a cell in a spreadsheet that covers the Earth, each cell of a DGGS is given a unique address to facilitate efficient mathematical operations. 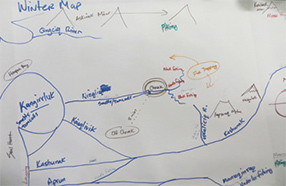 The Royal Canadian Geographic Society is distributing PYXIS WorldView to teachers where it is being used in classrooms to teach GeoLiteracy to children as young as 10 (https://vimeo.com/117639516). Users can also create and share their own globes – a feature that allows anyone to replace static Webmaps with embeddable smarter globes. You can access PYXIS Studio for free at www.pyxisglobe.com. If you are interested in profitably exploiting radiation from the sun, there are opportunities to use solar heating, solar photovoltaics, solar thermal electricity, solar architecture or artificial photo- synthesis, if you can understand the constraints. 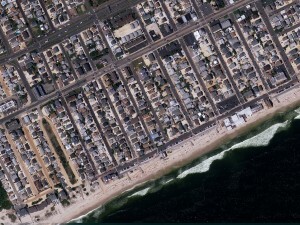 From remote sensing sources you will need historic measurements of solar radiation. From the regional authorities you will need cadastral property plans and the location of transportation and electrical transmission routes. You will need to know where the consumers of the power are located. You will want to avoid protected areas but access to land is vital. Property plans and land ownership, regulatory areas, existing developments, existing water courses and terrain are all important, too. All of these sources of information are geospatial; they represent something happening “here” – a place or places on a map. integrated together the decision maker can ask, “What has happened here?” Lives of people have changed forever. Supply chains disrupted. Local, regional and national governments respond along with private insurance companies to assess and categorize damages. Helping people with food and shelter is a priority. Rebuilding infrastructure may take billions of dollars. Learning lessons can assist policy making and future planning priorities. All of these sources of information are geospatial. They represent something happening “here” – a place or places on a map.